Tackle our ever-growing waste problem with all the information, advice, budget-friendly recipes and projects you'll need to start reducing waste in your life. A Family Guide to Waste-free Living makes it simple and sustainable for families to eliminate waste in the home, at work and out in the world. This is a practical and inspiring resource for anyone wanting to live more sustainably. When it comes to waste-free living, Lauren and Oberon Carter really know their stuff. In 2015, they decided to get serious about minimising their ecological footprint, successfully reducing their energy consumption by more than 60 per cent and transitioning to living completely waste and recycling free. They have written this fantastic guide to help and encourage other families do the same. 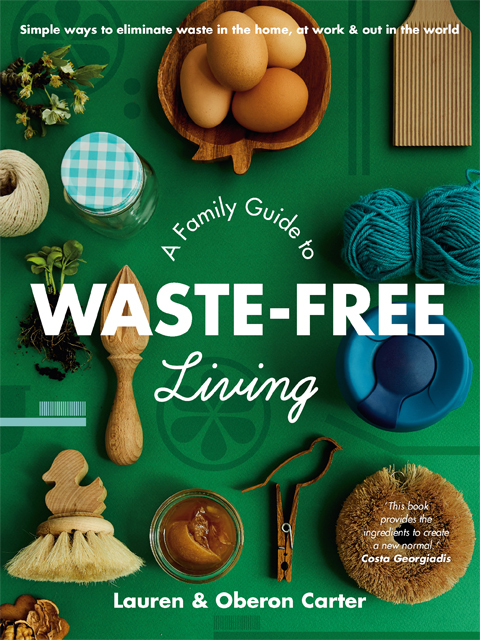 A Family Guide to Waste-free Living provides a roadmap for anyone wanting to reduce their waste. It is packed with information and offers practical and achievable solutions for eliminating waste in the home, at work and in the world.